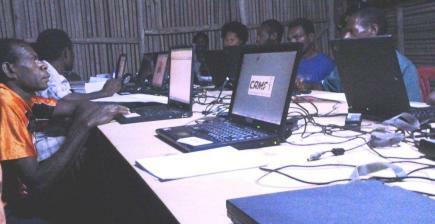 We always tell them that CRMF sells good quality computers with twenty percent discount for Church and pastors. We know that even with the twenty percentage discount, it is difficult for pastors and ministry leaders in the remote places to afford a good computer for ministry. 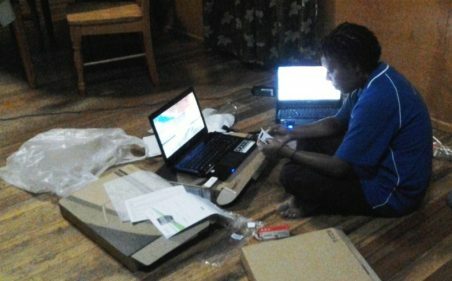 In the recent BCT in Wewak for the Evangelical Brotherhood Church, we had 24 Think Pad Lenovo laptops for training with six pastors and Church support workers who had brought their own computers. The addition of six more personal computers enabled us to train 30 participants bringing the total number of pastors and ministry leaders trained so far to 235. With three more new BCT scheduled for this year LTPNG could finish the year by training about 300 pastors; with the average intake of 20 participants per training. As we deliver training out in the field we see the delight of the participants during the training but the joy of graduation does not completely conceal the longing to own a computer. There is that sigh of longing to be able to own a computer and for most of them it would need a miracle to own a computer. 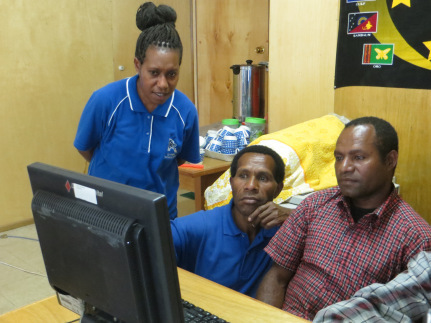 I know that beyond the remote places of PNG there is place where good second hand computers can be obtained; and imagine a good second hand computer in the hands of the 200 plus pastors and ministry leaders that LTPNG has trained so far. Our key emphasis in all the training is that computer training is only a tool to enhance the ministry experience of the pastors so that the Word of God can be preached effectively. Ephesians 4: 11-13 sets the bases for equipping the saints for ministry and the final attainment of Christ’s fullness. We know that the training delivered is not only making an impact from the pulpit but also from the office of senior pastors and overseers of the different denominations that have come through the BCT courses; even the Goroka Pastors Fraternal office is benefiting from this needed training. When we returned from Brugam (See story “Giving Removes Remoteness”) Lina had two brand new lap top computers to activate. The two happy owners are participants who took the BCT 1 conducted for EBC Wewak. There will still be many who will need computers for ministry but few that have the means do not take chances. Join us as we pray for the many remote pastors who have seen the tool and have learned the basic skills that will make an impact in their ministry; for opportunities to have a computer at their finger tips. For the Lord to open up the hearts of the congregation members to give towards buying of computers for their pastors and ministry leaders. Again thank you so much for your support and prayers as we praise God for the positive effects of basic computing skills.